Amazon Local has BIG DISCOUNTS on Film Festival Tickets and Parties !! Click Here for the Amazon Local Deals !! Here's your Insiders Guide to the 2013 Newport Beach Film Festival, with Special Ticket deals, inside information, schedules, suggested attire, background dope and a commentary or two. Special Deals on Tickets - see information below !! 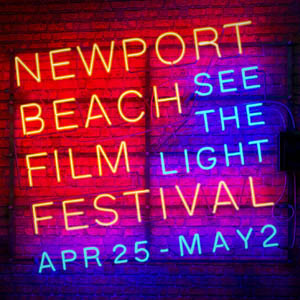 Between April 25 - May 2, the 2013 Newport Beach Film Festival will showcase more than 350 films from around the world, offering an ambitious and international selection of features, shorts, documentaries and animation that will compete for both Jury and Audience awards. This Festival has grown steadily in prominence, and has reached international acclaim and recognition. This year there will be seminars, family film series, collegiate showcase, & a youth film showcase. Now in its 14th year, the Festival is proud to treat its audience to World and U.S. premieres, Academy Award entries, Sundance Selections, a Spotlight Series, and Children's Festival, from both the independent and studio worlds. With submissions from Asia, Europe, South/Central America and Africa, classic and contemporary filmmaking will provide a unique mix of genre and culture. As a result, the Newport Beach Film Festival has quickly gained recognition both from filmmakers and audiences, and is expected to attract more than 55,000 cinephiles in 2013. There are numerous parties and social mixers surrounding a variety of these events and screenings - get to rub elbows with the artists and fellow movie buffs. They need volunteers and sponsors, too, and lots of them... it takes over 300 people to make this work. The schedule of all that goes on is available on their website www.newportbeachfilmfest.com For more information please call their office at (949) 253-2880. Filmed over four years with rare access behind the curtain, this film gives you a front row seat as Billie Joe Armstrong, the lead singer of the world famous band Green Day, ventures from rock and roll into the strange world of Broadway. It is not just Green Day's mega hit album - American Idiot- that is transformed in the process - Billie Joe is too. American Idiot debuted to great success, winning two Tony Awards and has now been taken on the road around the world. This is a journey from a Green Day concert at Madison Square Garden to the Great White Way - only ten blocks away, but worlds apart. Will Broadway, or Billie Joe, ever be the same? Please join us after the West Coast Premiere screening for a gala reception under the stars in Fashion Island, hosted by Fashion Island and Esquire Magazine. The Opening Night Gala will feature hosted bar by Absolut and Stella Artois, culinary tastings from 40 of Orange County's premiere Restaurants, and select entertainment featuring a special performance by American Idol star Taylor Hicks. Hicks will bring his unique sound of southern soul, R & B, and country and blues to the stage to help kick off the Festival. Click Here for the Newport Beach Film Festival website, and for Tickets. If you want want to roll high and see everything; all the Movies, Events and Parties for the entire Festival are yours with an All-Access Pass, usually $500 but a $100 discount by using Code "BestOCPass". ~ Hotel + Tickets for Two: Living Social has a promo for a room at the Fairmont and two Day Passes to the Festival for $190. Click Here for the info. Also, several Hotel Packages are offered by Visit Newport Beach, Click Here for the info. ~ Mon/Tues/Wed Films and Showcase Party: Goldstar has a 50% off deal, normally $40 per ticket only $20 for each Show+Party. Click Here for the info. ~ Sunday Night Irish Showcase: Use code IRISHNBFF at checkout for a $5 discount. ~ Monday Night Pacific Rim Showcase: Use code AOFNBFF or NBFFASN at checkout for a $5 discount. ~ Tuesday Night European Showcase: Use code NBFFIT13 at checkout for a $5 discount. ~ Wednesday Night Latino Showcase: Use code NBFFLT13 at checkout for a $5 discount. Watch Here for More Ticket Deals - Deals come and go quickly, jump on them !!! - The Opening Night Film and Party is offered as Cocktail Attire. Some will dress in Formal Attire, but the majority wear dressy casual/cocktail attire. The Party afterwards is outside, in the Fashion Island Bloomie's Courtyard - watch the weather and dress warm. - The Opening Gala and all the after-parties start after the Films finish, and go until late. Many of the Film people are here for the week, so they carry on until the food and liquor expire. - You must buy tickets for each of the Films and Parties ahead of time - as far as we know, no tix will be sold at the door, although that changes nightly. All of the Tickets are at Will Call, bring your receipts. - Food and liquor are included at each of the parties. Liquor is always plentiful, sometimes food not so much. - All the Parties this year are outside - watch the weather and dress warmly. - Get your Tickets ahead of time. The NBFF folks are mostly volunteers and they will do their best to keep everything in order. Tickets for the Films are generally available at the Theaters, if they are not sold out. - You never know who you might see and talk to here -- people from every facet and level of the Film business attend. From the struggling filmmaker who sold his car to make his dream, to the Hollywood mogul, and finance and production and costumery and of course the fans, rabid and casual... all are here. Click Here for our printable schedule of the nightly Showcase Parties. Movies usually start 7:30, Parties start at 9:30-10:00pm each night. Tickets for most are $40 for Movie and Party, or $30 for Party alone. See Special Hot Deals above !! Opening Thursday Night - Rocks !! Red Carpet runway before the movie, and lots of A and B list Hollywood show up. Party afterwards is a scene, outside with 30-some restaurants and lots of mingling. This year features a show by American Idol winner Taylor Hicks. Red Carpet arrivals start about 6:30pm, Movie starts at about 7:45, Party starts about 9:30pm. Click Here for the Opening Night Ticketing Page. Sunday Night - Irish Showcase, with the after party at Muldoon's in Fashion Island by the Big Newport Theater. Click Here for the Irish Showcase. Monday Night- Pacific Rim Showcase, films from Asia and Australia. Outside by the Koi Pond in Fashion Island. Lots of mingling, food, liquor. Dress warm. Click Here for lineup and Tickets. Tuesday Night- European Films Showcase, with the after party by the "Spouting Fountain" in Fashion Island. Click Here for European lineup and Tickets. Wednesday Night - Latino Film Showcase. Party is outside around the corner from the "Spouting Fountain" in Fashion Island. Lots of mingling, food, liquor. Dress warm. Click Here for lineup and Tickets. Thursday 5/3 Closing Party - Showing "The Way, Way Back" at the Lido, then the Party around the Via Lido Theater on the Newport Peninsula. 600-800 people. Live DJ's and music/dancing, Fashion Show, VIP Lounge. Outside. Multiple restaurants and open bars, all included. Goes until late. Click Here for Tickets. This sells out way in advance every year, get your tickets early ! !